Phil and Judy Kelley are	Mount Dora Realtors specializing in Florida lakefront homes, lots and investment properties. Central Florida lakefront homes are some of the most desirable properties in Florida. Learn about lake environmental issues, dock restrictions, flood zones, canal homes, lake view and lake access properties. Florida's most beautiful inland waterway, the vast Harris Chain of Lakes is located in Lake County Florida along with literally thousands of small and medium sized lakes. The Cites of Mount Dora, Eustis, Tavares and Leesburg are true lakefront cities with great waterfront amenities and recreational opportunities. 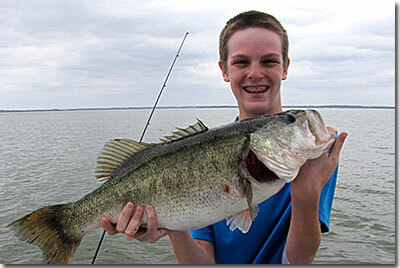 Here, boating, fishing, waterskiing, cruising and exploring our natural waterways is a way of life. Lakefront living is a dream lifestyle for many retirees. Some come to Lake County for our great fishing, others love to cruise our waterways, watch our abundant wildlife or catch lunch with their friends at a waterfront restaurant. 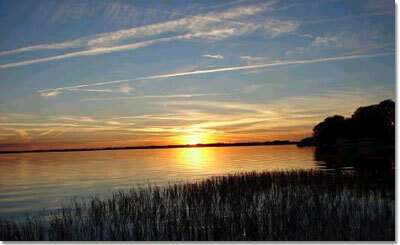 Lake County offers residents a more simple and natural view of Old Florida. Instead of touting the largest theme park or coaster, our area’s greatest assets are courtesy of Mother Nature. With more than 1,000 lakes and rivers, there’s no surprise how Lake County got its name. This Central Florida County is not only home to hundreds of waterways, but the freshwater fishing and boating amenities are some of the best in the nation. From expansive lakeside parks and boating facilities, to nationally recognized kayaking and canoeing trials, Lake County is the closest thing in the State to a freshwater boater’s paradise. Each lake in Florida is unique. Buyers need to match their lifestyle, expectations and budget to each lake in order to make the right choice. With so many choices, it is important to ascertain the nuances of each client’s “wish list”. Are you a fisherman? Water skier? Cruiser? Do you want access to waterfront restaurants or just like a nice lake view? The size of the lake is very important. For example, a cruiser would be very bored if limited to a lake of 300 acres, while a fisherman would be delighted to fish in a lake where public access is limited. As a team, we listen to our clients and use our experience and knowledge to guide them to lakes that fit each personal budget and lifestyle. Many people are surprised to find how affordable a Harris Chain canal or lagoon home can be. While direct lakefront property has remained some of the most desirable real estate in our area, canal homes offer an affordable waterfront living alternative. The Harris Chain is surrounded by canals leading into the main lake. 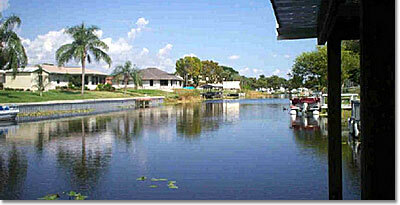 Boat docks line these canals offering a popular lake lifestyle without the high cost of living directly on the lake. This website offers a unique property search feature that allows public access to the Central Florida MLS database. This is the same database that Realtors use to find homes for their clients. In addition, we offer customized searches along with email notifications of a change in status or availability of a home within their search criteria. If you are interested in a custom search for your own use, please don’t hesitate to contact us. Finding the right lakefront home or property can be a daunting task. Most Realtors do not have intimate knowledge of these properties and this can lead to disappointments and wasted time. Some of the properties listed in the MLS as “lakefront” are not. Sometimes the so-called lake is actually a drainage area or “seasonal pond”. Lake levels fluctuate and canals can become shallow or dry during droughts. You not only need to know the conditions of the lake as it currently exists, you need to know the historic and seasonal levels and conditions of each lake. We hope you enjoy this website, find it useful and will return again.